Milan Malpensa Airport (IATA: MXP, ICAO: LIMC) is the largest international airport in the Milan metropolitan area in northern Italy. It serves 15 million inhabitants in Lombardy, Piedmont and Liguria, as well as those living in the Swiss region of Canton Ticino. The airport is located 49 kilometres (30 mi) northwest of central Milan, next to the Ticino river (dividing Lombardy and Piedmont). The airport has two terminals and two runways as well as a dedicated cargo terminal. In 2017, Malpensa Airport handled 22,169,167 passengers and was the 26th busiest airport in Europe in terms of passengers and 2nd busiest airport in Italy in terms of passengers. Until 2008, Malpensa Airport was a major hub for flag carrier Alitalia. Malpensa Airport remains the second-busiest Italian airport for international passenger traffic (after Rome Fiumicino Airport), and the busiest for freight and cargo, handling over 500,000 tons of international freight annually. The first industrial airport was opened in 1909 near the Cascina Malpensa, an old farm, by Giovanni Agusta and Gianni Caproni to test their aircraft prototypes. This airport was then opened for civil operation in 1948 during the war reconstruction period, in order to serve the northern area of Milan. The site of today's Malpensa Airport has seen aviation activities for more than 100 years. The first began on 27 May 1910, when the Caproni brothers flew their "flying machine", the Cal biplane. In the years that followed, many aircraft prototypes took off from the same site; eventually, it was decided to upgrade the farming patch to a more formal airfield. Both Gianni Caproni and Giovanni Agusta established factories on the new site; the airfield soon developed into the largest aircraft production centre in Italy. During the 1920s and 1930s, the airfield hosted two squadrons of the Regia Aeronautica Italiana (Italian Air Force). In September 1943, Malpensa airfield was taken over by Nazi Germany's Luftwaffe when northern Italy was invaded by Adolf Hitler. Soon after their arrival, the Germans laid the airfield's first concrete runway. After the cessation of hostilities during the Second World War, manufacturers and politicians of the Milan and Varese regions, led by banker Benigno Ajroldi of Banca Alto Milanese, restored the airfield. They aimed to make it an industrial fulcrum for post-war recovery of Italy. The main runway, heavily damaged by German troops as they retreated from northern Italy, was rebuilt and extended to 1,800 metres. A small wooden terminal was constructed to protect goods and passengers from bad weather. Malpensa Airport officially commenced commercial operations on 21 November 1948 as Aeroporto Città di Busto Arsizio, although the Belgian national flag-carrier Sabena had started flying to Brussels from here a year earlier. On 2 February 1950 Trans World Airlines (TWA) became the first company to fly long-haul flights from Malpensa, using Lockheed Constellations on their services to New York Idlewild Airport. A change of ownership occurred in 1952 when the Municipality of Milan took control of the airport's operator, the Società Aeroporto di Busto Arsizio. The operator's name was subsequently changed to Società Esercizi Aeroportuali SpA (SEA). 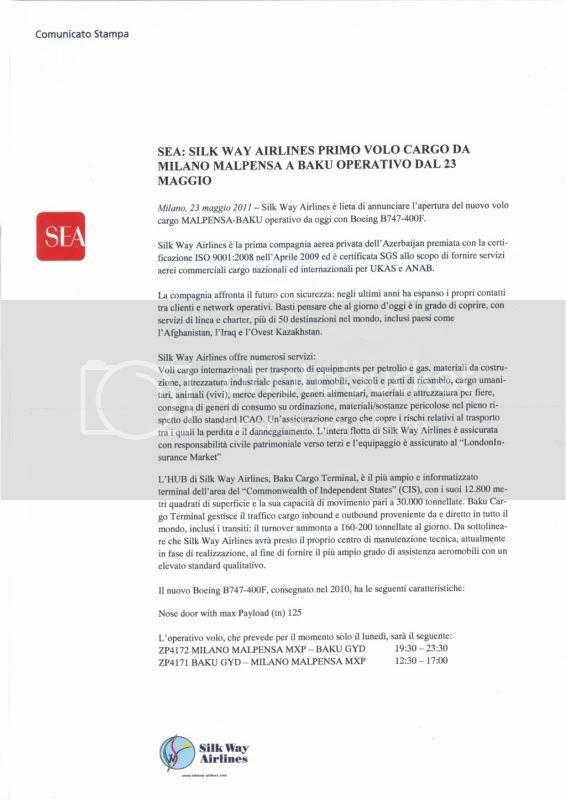 After assuming full control, SEA decided to develop Malpensa as an international and intercontinental gateway, whereas Milan's other airport, Linate Airport, would be tasked with handling only domestic services. Between 1958 and 1962 a new terminal arrived at Malpensa and the airport's two parallel runways were extended to 3,915 m (12,844 ft), becoming the longest in Europe at that time. By the early 1960s, however, major European carriers such as British Airways, Air France, Lufthansa and Alitalia had moved the majority of their services to Linate Airport, which was just 11 km east of Milan's city centre, making it much easier for passengers to reach central Milan. This left Malpensa with just a handful of intercontinental links, charter flights and cargo operations. Malpensa suffered a decline in commercial traffic, with passenger numbers dropping from 525,000 in 1960 to just 331,000 by 1965. It was destined to play second fiddle to Linate Airport for another 20 years. By the mid-1980s Linate Airport was handling seven million passengers per year and, with only a short single runway and limited parking slots, had reached its saturation point. With no available land nearby for expansion, an alternative solution was sought: Societa Esercizi Aeroportuali SpA (SEA) quickly found that developing Malpensa was the only practical alternative. By the end of 1985, a law had been passed by the Italian Parliament that paved the way for the reorganisation of the Milan airport system. Malpensa was designated as the centre for all services covering northern Italy, while Linate Airport was downgraded to a domestic and short-haul facility. "Malpensa 2000", as the plan was called, included the construction of a new terminal as well as the development of fast, efficient connections to Milan's city centre. The European Union recognised this project as one of the 14 "Essential to the Development of the Union" and provided €200 million to help finance the work. Construction started in November 1990; Malpensa airport was re-opened eight years later. During the night of 24/25 October 1998 Alitalia moved the majority of its fleet from Rome Fiumicino Airport – where it had been flying from for over 50 years – to Malpensa Airport. The airport started a new lease of life as the Italian flag-carrier's main hub. Alitalia added up to 488 movements and 42,000 passengers a day at the facility which, by the end of 1998, had handled 5.92 million passengers (an increase of more than two million over the previous year's figure). In 1999 it recorded a spectacular leap to 16.97 million and, by 2007, passenger numbers had reached 23.9 million. Efficient rail links from two different stations in Milan (Centrale and Cadorna stations) ensured easy access by railway, whereas the nearby A8 motorway had an extra lane added in each direction to help speed up traffic into and out of the city centre. Before 2001, ground handling services at Malpensa were shared by the SEA (airport's operator) and Trans-World Airlines. Since then, the contracting process has gradually been deregulated. In 2000, airport security services at Malpensa were transferred from the Polizia di Stato (State Police) to SEA's internal division, SEA Airport Security. Up to 2002, SEA was assisted by IVRI in providing security services, but the contract was not renewed after its expiry. Nevertheless, SEA Airport Security is supervised by the Polizia di Stato (Italian State Police), Guardia di Finanza (Italian Military Customs Police) and Ente Nazionale Aviazione Civile (Italy's Civil Aviation Authority), whereas the Carabinieri (Italian Military Police) supervises ramp entrance. Ramp services are provided by SEA Handling, ATA and, more recently, Aviapartner. SEA Handling provided 80% of the ramp services at Malpensa Airport due to its major customer, Alitalia. In May 2006, however, Italy's Civil Aviation Authority took off the limitation of two ramp handlers. In 2008, a new development plan was launched by Societa Esercizi Aeroportuali SpA (SEA), valued at €1.4 billion, to include a third pier for Terminal 1 and the construction of a third runway. In a surprise move, however, Alitalia announced its decision to revert its main hub back to Rome Fiumicino Airport due to 'high operating costs' at Malpensa Airport. Alitalia did not pull out of Malpensa altogether, and continues to fly several domestic and European services from Milan and two intercontinental flights (to New York City and Tokyo). However Malpensa lost around 20% of its daily movements, a decrease from 700 to 550, which resulted in only 19.2 million passengers passing through in 2008. The airport continued to suffer during 2009, when the international financial crisis and higher fuel prices caused a reduction to only 17.6 million passengers that year. Responding to Alitalia's pullout, the operator SEA launched an all-out publicity programme and aggressively marketed Malpensa Airport around the world. This campaign was successful: from 2008 to 2011, a total of 34 new passenger and cargo routes were added to Malpensa's network. The low-cost carrier EasyJet made Malpensa its main base after London Gatwick, with more than 20 of its Airbus A319s and Airbus A320s based here. The airline currently flies services from Malpensa to more than 70 destinations in Italy and across Europe. Competitor Ryanair confirmed plans to open an operating base at Malpensa from December 2015, initially with one aircraft. In 2014 a contract was awarded for extension of the railway line from Terminal 1 to Terminal 2. The line was opened in December 2016. The new Malpensa Terminal 2 railway station is within 200 m north of the T2 arrivals hall, that is accessed by an outdoor covered walkway. Malpensa Airport has two passenger terminals and they are connected by airport shuttle busses and trains. Terminal 1C, opened in January 2013, handles non-Schengen and some intercontinental flights. Terminal 2 is the older terminal. It is currently used exclusively by easyJet. All charter services, which were previously based in this terminal, moved to Terminal 1 upon its opening. Prior to December 2016, the only public transport available at Terminal 2 was ATM (Transport for Milan) local buses or shuttle buses operated by Terravision, Autostradale and Malpensa Shuttle. Malpensa Airport additionally provides free shuttles connecting Terminal 2 to Terminal 1. A new railway station at Terminal 2 was opened in December 2016. 51 4 Lyon, France 53,475 1.13 HOP! Malpensa Express trains run from Terminal 2 and Terminal 1 stations, to Milan Cadorna station in central Milan. A train leaves every 30 minutes in each direction. At Milan Cadorna, there are connections with Milan Metro lines M1 and M2, the Milan suburban railway service and other destinations. Journey time is 29 minutes (non-stop) or 34 minutes (stopping). Stopping services call at Busto Arsizio Ferrovie Nord Milano, Saronno (connections for Varese and Como) and Milan Bovisa (connection with suburban services). Since 13 December 2010, the Malpensa Express has also run to Milan Central station, connecting there with Milan Metro lines M2 and M3 and various rail services. A train leaves every 30 minutes in each direction (or hourly during early mornings or late evenings). Journey times are 46 minutes (semi-fast) and 53 minutes (stopping). All services call at Milan Porta Garibaldi (connections with Milan Metro lines M2 and M5) and Saronno, with stopping services also calling at Busto Arsizio FNM station. TiLo operate services to Bellinzona in Switzerland. Milan's Suburban Line S10 (Milano Rogoredo–Milano Bovisa) has run to Malpensa Airport/Aeroporto since June 2010. Trains call at: Ferno, Busto Arsizio, Castellanza, Rescaldina, Saronno, Milano Bovisa, Milano Lancetti, Milano Porta Garibaldi M2-M5, Milano Repubblica M3, Milano Porta Venezia M1, Milano Dateo and Milano Porta Vittoria. The service was terminated in October 2012. The Malpensa – Varese – Mendrisio (CH) – Lugano (CH) line is currently under construction, providing a direct connection between Malpensa Airport/Aeroporto and the south-eastern part of Switzerland. There are plans to connect Gallarate Station and Milan's Centrale Station (FS), which is currently a terminus station with no through tracks, to allow more convenient access to high-speed international lines. Malpensa Shuttle and Malpensa Bus Express connect the airport to Milan Central station (Trenitalia's National Railway hub) and for Milan's Metro network. The shuttle bus calls at Terminals 1 and 2, Busto Arsizio and Milan Fair (on request). Journey time is 60–70 minutes. A free, 24-hour shuttle bus provides access to Terminal 2 from Terminal 1. The bus leaves every 7 minutes. Journey time is 15–20 minutes. Malpensa Airport has a direct coach connection with Milan's Linate Airport. From March 2018 both Terminals are connected to major cities in Northern Italy. This service is provided by BusItalia Fast  (a society participated by Trenitalia and the Italian Rail Co.) and connects the airport with Aosta (Aosta Valley), Novara, Santhià, Turin (Piedmont), Sanremo, Savona, Ventimiglia (Liguria) once a day; Padua, Venice Marco Polo Airport, Verona (Veneto), Trieste (Friuli-Venezia Giulia) twice a day; Genoa (Liguria) three times a day. 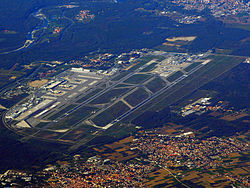 Malpensa Airport is accessible by a four-lane motorway to the A8 (connecting Switzerland to Milan) and by a five-lane motorway to the A4 (connecting Turin/Torino, Verona, Venice and Triest/Trieste). Local access to the airport is provided by the State Road SS336 from Busto Arsizio and by the State Road SS336dir from Magenta. ^ GmbH, DVV Media Group. "FedEx Express opens new Malpensa hub ǀ Air Cargo News". Aircargonews.net. ^ "Assaeroporti – Associazione Italiana Gestori Aeroporti". Retrieved 2 June 2015. ^ a b "Statistiche – Assaeroporti". Assaeroporti.com. ^ "EAD Basic". Ead.eurocontrol.int. Retrieved 7 November 2010. ^ "Milan Malpensa Airport Review and History". Retrieved 2 June 2015. ^ "Malpensa Terminal 2 rail link contract awarded". Railway Gazette. 10 September 2014. Retrieved 28 March 2015. ^ "How to catch a train to Milan city from Malpensa Airport Terminal 2". Milanfinally.com. Retrieved 17 December 2016. ^ a b "Milan Malpensa Airport". Avventure Bellissime. Archived from the original on 2 April 2015. Retrieved 27 March 2015. ^ "Directions and Parking". Retrieved 6 April 2015. ^ "MALPENSA È PIÙ EXPRESS! Il Terminal 2 è raggiungibile in treno". Trenord.it. Retrieved 2016-11-28. ^ "Orario voli Malpensa – Orari voli aeroporto Milano Malpensa". Milanomalpensa-airport.com. ^ "TUTTI I VOLI". Aeroporto Olbia Costa Smeralda. ^ "Air Italy plans Toronto launch in May 2019". routesonline.com. 18 December 2018. ^ "VUELOS CHARTER - Aeroporti di Puglia". Aeroportidipuglia.it. ^ "Voli da Malpensa a Pantelleria, collegamenti diretti - Pantelleria Island". Pantelleriaisland.it. ^ "Aurora boreale con Giver Viaggi, volo diretto Milano-Tromsø da febbraio". Travelquotidiano.com. 29 May 2018. ^ "Alitalia resumes Milan – Cairo service from late-July 2019". routesonline.com. 14 February 2019. ^ "Alitalia flight Milan – Cairo". alitalia.com. 24 February 2019. ^ "Alitalia resumes Milan – St. Petersburg service from late-July 2019". routesonline.com. 5 February 2019. ^ "Alitalia resumes Milan – Tel Aviv service from late-July 2019". routesonline.com. 14 February 2019. ^ "DIRECT FLIGHTS FROM TEL AVIV TO MILAN". alitalia.com. 24 February 2019. ^ a b "Alitalia e Costa Crociere rinnovano la partnership fly & cruise". Travelquotidiano.com. 13 June 2018. ^ "Alitalia apre la Milano Malpensa – Rostock" [Alitalia opens Milan Malpensa - Rostock] (in Italian). Italiavola. 12 February 2019. Retrieved 19 February 2019. ^ a b c "BlueAir W inter 2019". https://www.blueairweb.com/it/it/. External link in |website= (help) Cite error: Invalid <ref> tag; name "BPS19" defined multiple times with different content (see the help page). ^ "Blue Panorama : nuovo Milano Malpensa – Olbia estivo". Italiavola.com. 8 January 2019. ^ Ltd. 2019, UBM (UK). "Blu Express schedules new routes in S19". Routesonline. ^ a b "La vision internazionale di Blue Panorama: i piani per il 2019". TTG Italia. ^ "Flight planning - Aena.es". Aena.es. ^ a b "Partenze Malpensa - Orari voli in partenza aeroporto Milano Malpensa". Milanomalpensa-airport.com. ^ a b c d "Neos schedules new European routes in S19". routesonline.com. 2 January 2019. ^ "El Dabaa, Egypt to see commercial pax service in Summer 2019". ch-aviation.com. ^ Ltd. 2019, UBM (UK). "Neos adds Mumbai charters in W18". Routesonline. ^ a b "Costa Crociere, partnership rinnovata con Neos - ADVtraining.it -". Advtraining.it. ^ "Estate 2018 in Nord Europa con Costa e Neos". Lagenziadiviaggi.it. 2018-07-13. Retrieved 2018-07-18. ^ "Qatar Airways to Start Milan-Chicago Freighter Service". Retrieved 2 June 2015. ^ "Swiftair". Archived from the original on 23 April 2015. Retrieved 2 June 2015. ^ "Turkish Airlines Cargo Winter Schedule" (PDF). Archived from the original (PDF) on 4 June 2013. ^ "Statistiche Dicembre 2017 - Assaeroporti". Assaeroporti.com. ^ "Malpensa – Da dicembre parte il treno Malpensa-Milano Centrale | Lombardia | Varese News". .varesenews.it. 31 July 2010. Retrieved 7 November 2010. ^ "Castellanza – Malpensa express più veloci e nuovi suburbani, così cambia l'orario | Lombardia | Varese News". .varesenews.it. 30 January 2010. Retrieved 7 November 2010. 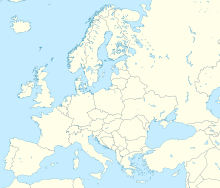 ^ "Busitalia-Sita Nord - Wikipedia". It.wikipedia.org (in Italian). Retrieved 2018-07-18. ^ "Busitalia Simet Spa :: Autolinee Nazionali ed Internazionali - Noleggio Bus :: - Altri servizi - Noleggio bus, tour operator, noleggio con conducente". Fsbusitaliafast.it (in Italian). Retrieved 2018-03-25.